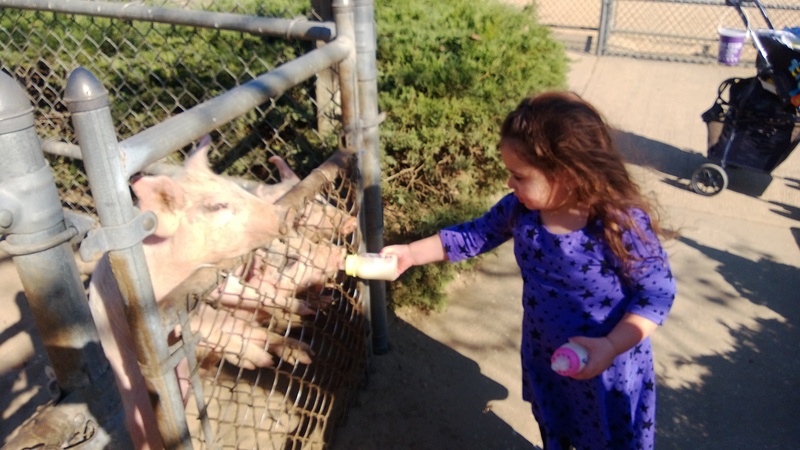 Mia and I went to the Animal Farm Petting Zoo with our close friends yesterday afternoon. 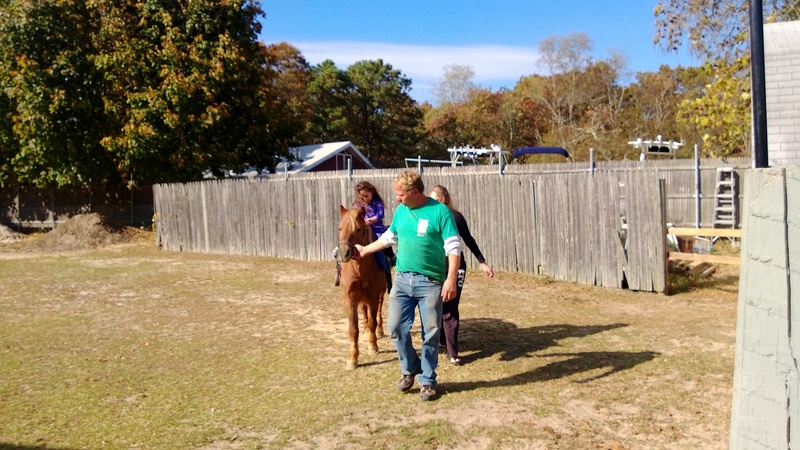 It was a beautiful day and figured we can not waste such a great afternoon so we headed to the Animal Farm Petting Zoo. 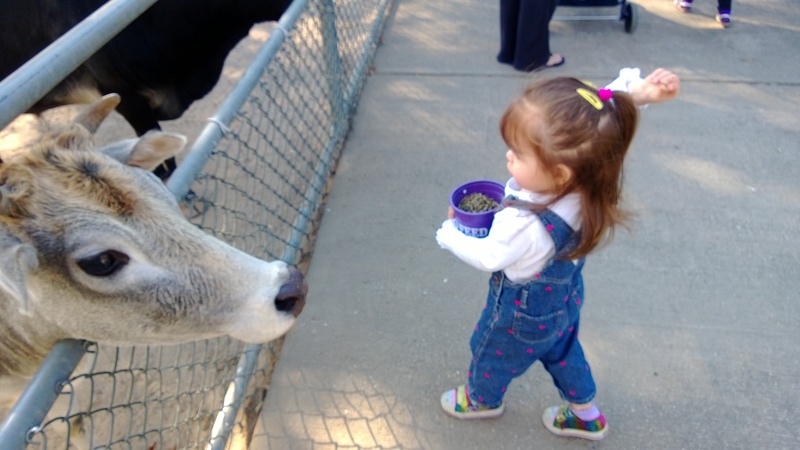 There is a lot of interaction between you and the animals here at The Animal Farm and it is a great place to visit. 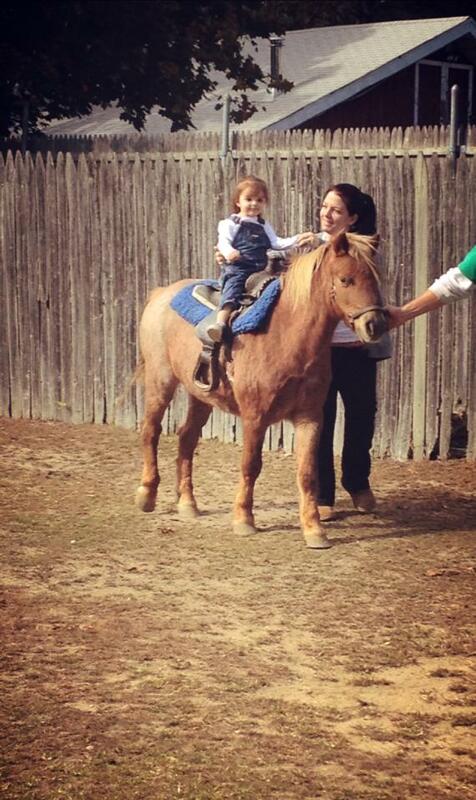 We have been to the Animal Farm Petting Zoo before and Mia did not want to ride the pony. 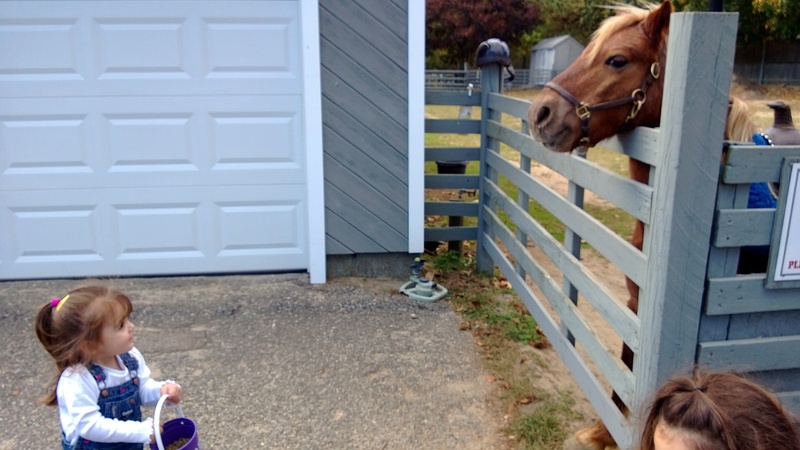 She loves to feed them but she was hesitant to get a pony ride. 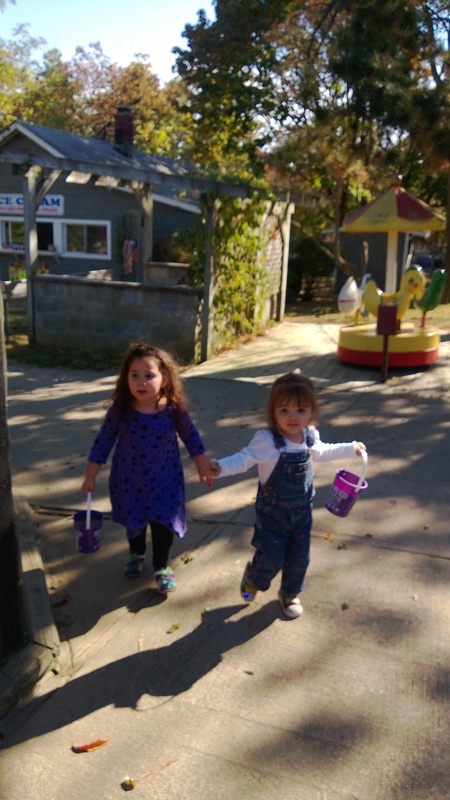 But, once Mia watched her best friend Krysta go on a Pony Ride first and she saw how excited Krysta was after she rode, Mia couldn’t wait to get her turn on the pony. 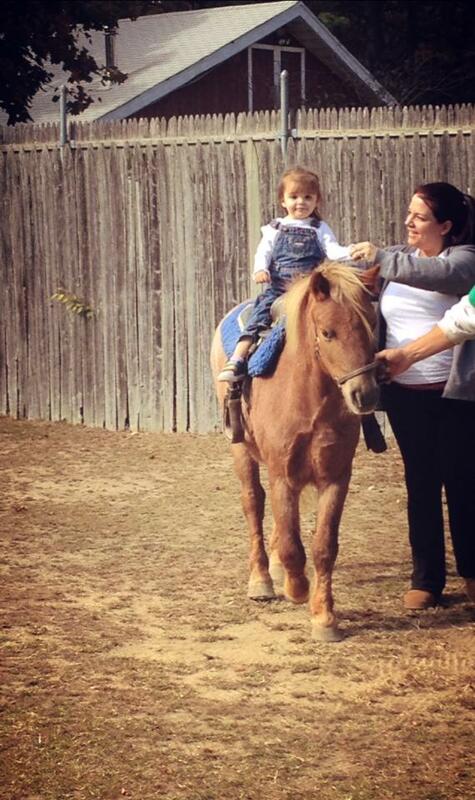 I was so proud of Mia, and as a Momee you love to see your kids first time doing something be a great experience! 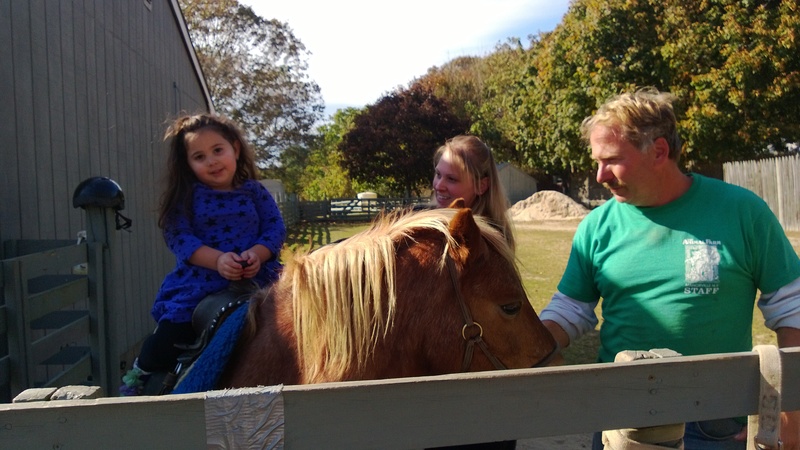 Mia just loved the pony and I am sure we will always do the FREE pony rides when we visit again. 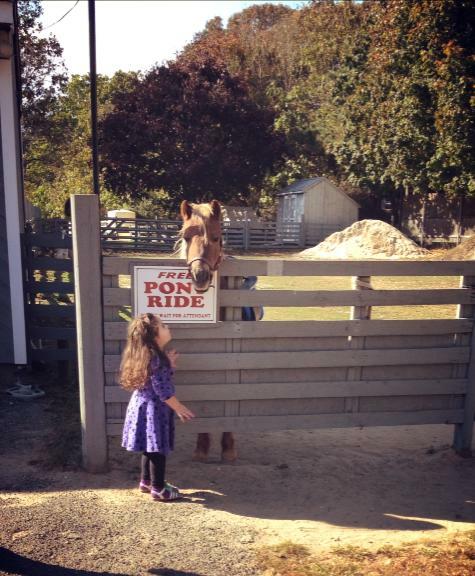 When you go to the Animal Farm Petting Zoo in Manorville the pony rides are FREE with your admission price. 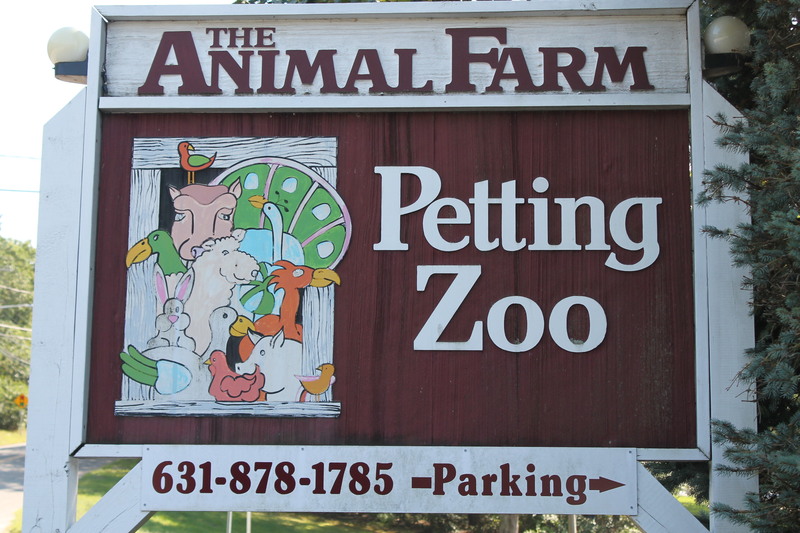 I highly recommend checking out this Animal farm, when you buy the feed to give the animals. 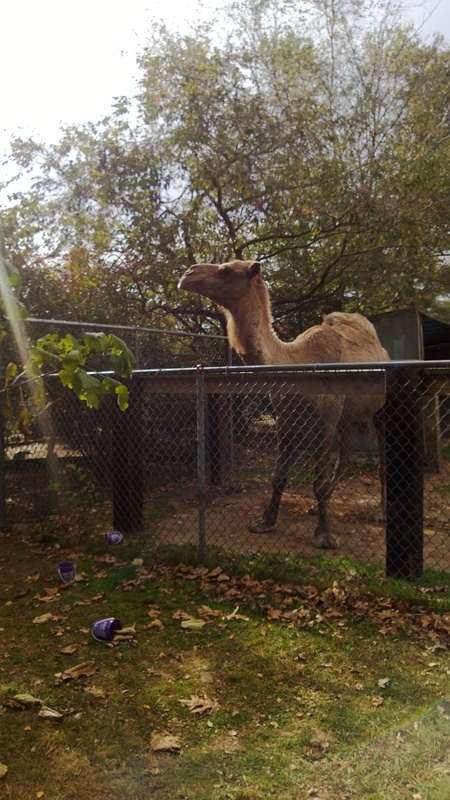 Make sure you feed the camel last because he will steal your bucket to eat all of your food. 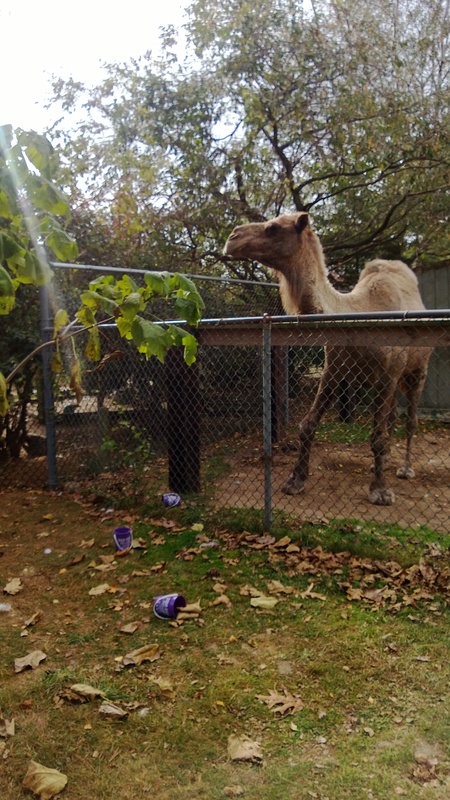 Look at all the empty buckets on the floor in front of this hungry guy.